The short courses venue is an innovative space available at the University of Technology Sydney. With state of the art facilities which are fitted out with the latest technical equipment, the Short Courses space is a distinctive technology rich facility for hosting a diverse range of short courses for professional and executive education. 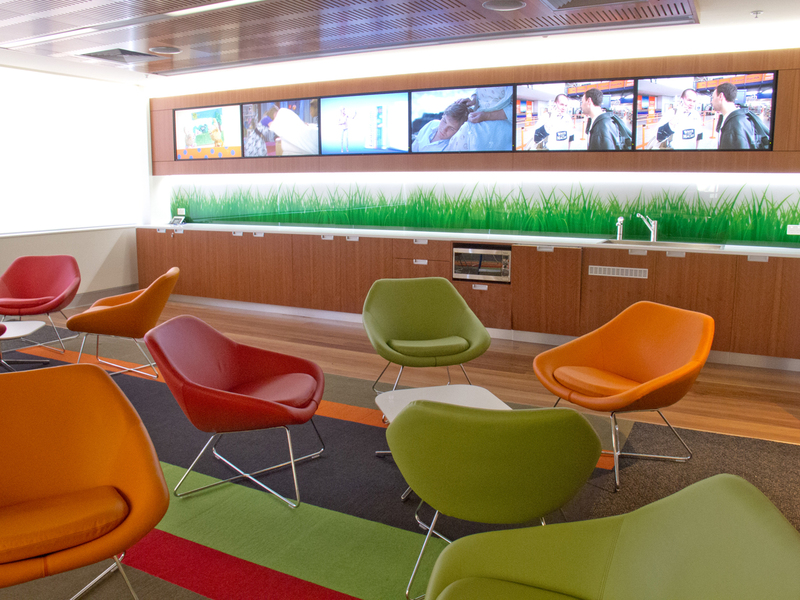 This learning space supports an array of interactive and collaborative activities incorporating multi-screen, networked audio-visual systems. There are four individual spaces for 24 -30 people, which can be operated individually, as a group, or can be opened up to facilitate larger groups from 48 - 54 people. The seminar spaces encourage conversation and networking and supports people focused engagement in a rich technological environment. © Copyright UTS - CRICOS Provider No: 00099F - 03 April 2019 02:34 PM. The page is authorised by Deputy Vice-Chancellor and Vice-President (Corporate Services).